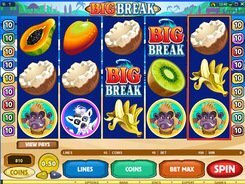 The five-reel 15-line Big Break slot machine has an amazing animal vacation theme and creative graphics to keep you entertained for long. 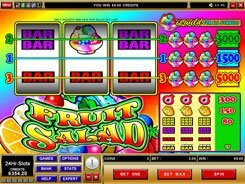 On the brightly designed reels you’ll encounter bananas, papaya, kiwi, mango, coconut, gorilla, lemur, orangutan and other tropic-themed symbols that form winning combinations. 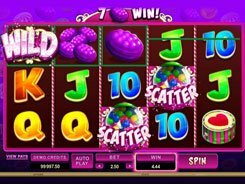 Select the number of paylines and make a suitable bet by adjusting the number of coins from 1 to 10, and a coin size from $0.01 to $0.5. 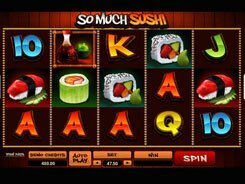 The flexible betting system will definitely appeal both to penny-slotters and high rollers alike. The Big Break logo is a wild symbol that substitutes for monkey symbols only creating winning combinations for the selected icons. The Lucky Break symbol is a wild multiplier that displays on reel 5 and replaces all other icons, except for animal icons. Besides, the Lucky Break doubles the payout when substituting. 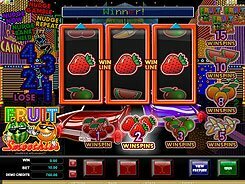 For a free spins round, there are fifteen to be won by rolling up 3, 4, or 5 Munky Wax symbols scattered anywhere on the reels. Any macaque, gorilla, lemur, gibbon and orangutan symbols dropped anywhere across all 5 reels trigger the Surf's Up bonus feature. In the bonus round, you have to pick a monkey to show off his surfing skills. 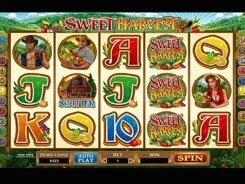 The monkey of your choice will bring you an alluring cash prize to be added to your win total after completion of the bonus feature.